← What Are You So Afraid Of? A Rapunzel Analysis. Week three of Applied English guest posts comes to you from Emma Anderson. This was written for Dr. Rudy’s 394r class from Winter semester, and similar posts will be continuing throughout the summer. Hope you enjoy! Sunlight glistening through the ivied trellis. Flowers in full bloom. Birds chirping their sweet songs. A three-foot-tall pastry dressed in elaborate icing. A procession of satin, lace, and tulle along a pathway freshly strewn with petals. A long, graceful gown with a grandly sweeping train. A beautiful bride smiles up at her handsome prince. This invented scene generically depicts what is often referred to as a “fairy tale wedding.” The cultural term implies an elaborate scene in which the binding marital vows are uttered in an atmosphere of love, beauty, and (expensive) perfection. 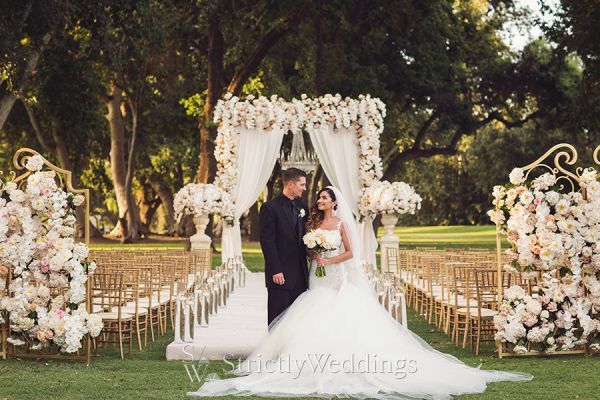 Have you ever considered that calling this scene a “fairy tale wedding” is actually quite a misnomer? If we take a closer look at the true nature of classic fairy tales, we find that many of them did not end with the so-called “fairy tale wedding.” In fact, these endings are the exception more often than they are the rule. The original fairy tales as recorded by the Grimm brothers and other authors did not all end in a happy wedding. In some, like “The Youth Who Went Forth to Learn What Fear Was” and “Faithful John,” the romance and marriages in the stories are peripheral to the central plot or theme. In many, including “Little Red Riding Hood” and “Hansel and Gretel,” love and marriage are not directly addressed in any way. In still others, such as “The Fisherman and His Wife” and “Bluebeard,” matrimony is seen in a negative light, with plot points ranging from spousal disagreements to arranged marriages with serial killers. 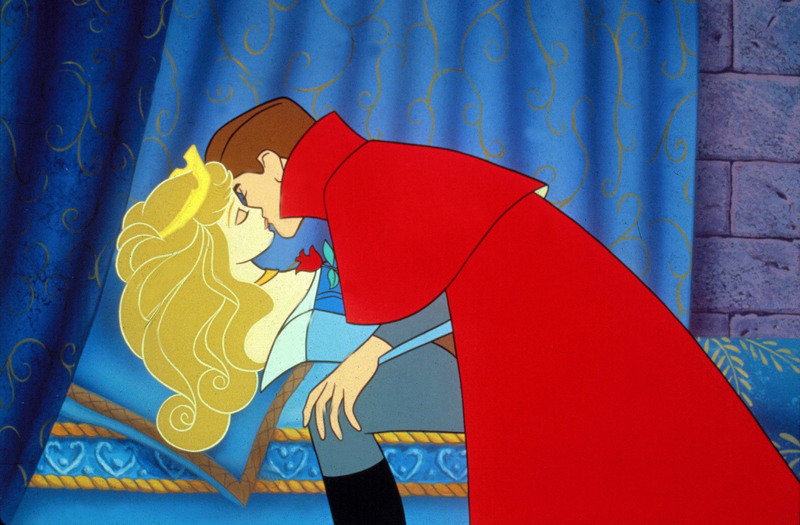 As we can see, fairy tales do not always deal with the triumph of romantic love. Actually, relatively few of them do. However, as the FTTV teleography shows, the most popular and well-known fairy tales by far are “Cinderella,” “Beauty and the Beast,” “Snow White,” and the like. Meanwhile, the nonromantic tales have faded into obscurity, very rarely appearing in television. Have you even heard of “The Youth Who Went Forth to Learn What Fear Was?” Exactly. Even if you have, you likely have not seen a popular adaptation of it. Thus, the fairy tales of pop culture, and television in particular, heavily favor the minority of stories which end in love and a romantic royal wedding. As these love stories became more mainstream, there arose more and more attempts to emulate them in reality. Since the stories culminate in beautiful weddings, symbolizing the end of the search for true love, people began to seek for real life examples of the same kind. To show the increase in cultural hunger for these “fairy tale weddings,” a quick search on FTTV’s teleography yields results containing multiple sitcoms and reality TV shows, including two episodes from the hit show Keeping Up with the Kardashians. The episodes are titled “Kim’s Fairy Tale Wedding,” and they follow the multi-million dollar celebration of Kim Kardashian’s wedding to Kris Humphries. The titles of the episodes themselves show that the public now links these perfect, opulent weddings to fairy tales, even though they rarely take place in actual fairy tales. A different example that comes up on the teleography is The Bachelorette, the wildly popular reality show in which male contestants compete for the hand of one woman over several episodes, supposedly culminating in a happily-ever-after proposal and wedding. Another guilty-pleasure reality show, Say Yes to the Dress, does not directly relate to fairy tales and does not come up on the teleography, but the popularity of the idea of finding the perfect wedding dress shows how much the public craves to be a part of these “fairy tale weddings” through the medium of television. However, even in all of these gorgeous TV weddings, one crucial aspect is missing that is present in nearly all fairy tales: royalty. Part of the magic and appeal of fairy tale romance is that at least one person in the couple is a prince or princess, king or queen. Society is riveted to this fanciful concept of royalty, and thus royal weddings are even more idealized than anything on The Kardashians or The Bachelorette. 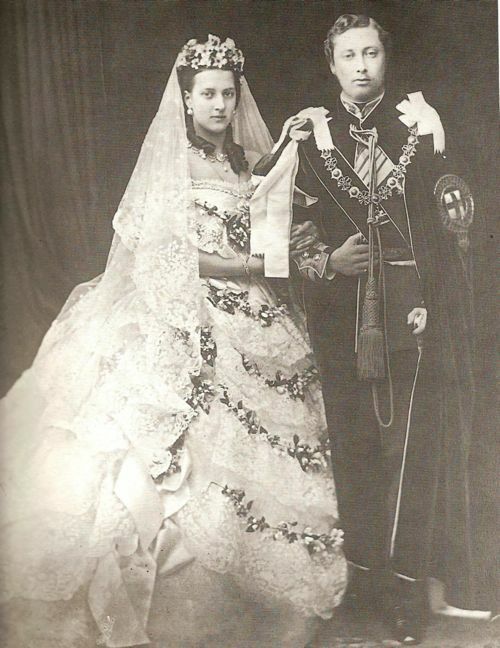 This widespread love of opulent royal weddings can be seen historically, such as in the 19th-century wedding of Queen Victoria to Prince Albert. Many modern-day American and English traditions surrounding elaborately celebrated nuptials can actually be traced back to this specific wedding. For example, Queen Victoria started the trend for white wedding dresses after this photograph went the 19th-century equivalent of viral. In the 20th century, the idyllic wedding of Prince Charles and Princess Diana garnered international attention, looking every bit the royal fairy tale couple of the public’s imagination. Is it possible that one reason the world was so riveted to Kate Middleton’s wedding was because it so perfectly mirrored the beloved fairy tale wedding of Cinderella? These real life royal weddings mimic our idyllic notions of the royal weddings featured in the most well-known fairy tales, although as we have seen, the marriages depicted in many original fairy tales were anything but perfection. Since the original fairy tales often had little to do with weddings, using the term “fairy tale” to describe many of these beautiful ceremonies is misleading when one looks at the fairy tale genre as a whole. 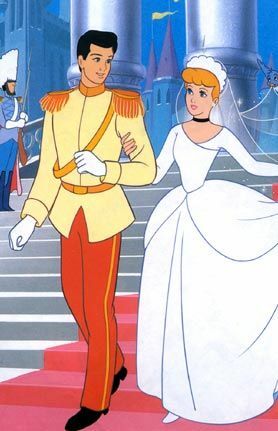 Clearly, the idea of the “fairy tale wedding” has been divorced from the true origins of fairy tales, as a result of the influence of Disney films, modern royal weddings, and reality television. This entry was posted in Working With the Database and tagged 394r Guest Posts, Cinderella, Emma Anderson, Weddings. Bookmark the permalink. Doesn’t this article give the impression that the photo above shows Queen Victoria and Prince Albert, when it’s really their son’s wedding with Princess Alexandra? It’s true that most fairy tales don’t have weddings and many fairy tales contain violent and gruesome content, but there is a theme in many fairy tales of the marriage ending as a reward for virtue, perseverance, etc. 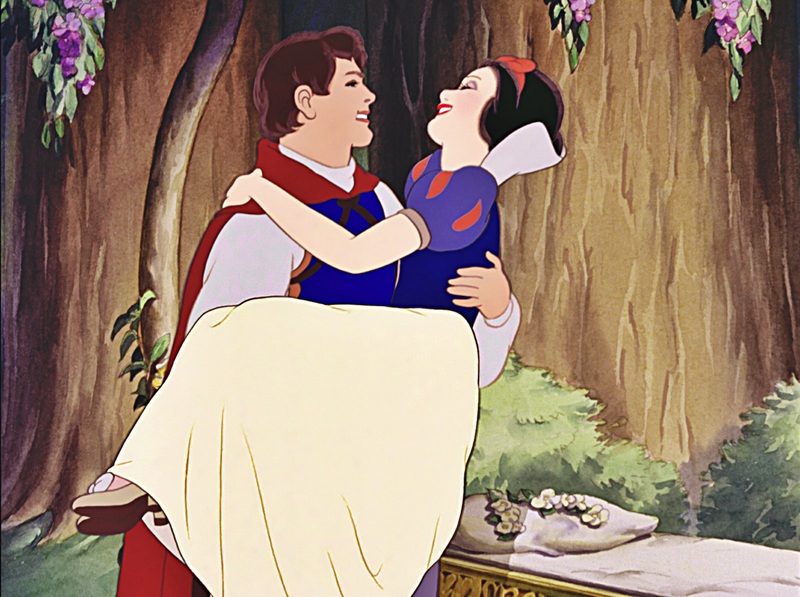 Wish fulfillment is one of the strongest themes of fairy tales around the world and marrying royalty, or at least someone ideal, occurs in thousands of tales. The term “fairy tale wedding” doesn’t suggest that all tales have weddings any more than “fairy tale giant” or “fairy tale witch” or “fairy tale quest” suggests that all tales have these elements. Perrault’s tales were written for the French court so his 1697 “Cinderella” is the source of many of the stereotypes (passed on through Disney) of lavish balls and forgiveness for the mean sisters at the end, although the wedding at the end is just briefly mentioned.